As the days get warmer, more and more time is being enjoyed outside. 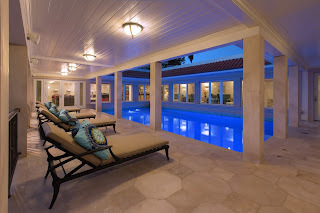 And if you have an expansive outdoor entertainment space or even just a couple of patio chairs and table, lighting can set the tone and extend the duration of your outdoor experience. More than just setting lights on a timer, smart lighting can define your outdoor space and even play an integral part in home security. Just like indoor lights, outdoor lighting can set the mood of your event. Lighting can even be programmed to coincide with the sunset and sunrise. As you lose the sun, the lights can automatically be turned up so that your event can continue into the night. But even before your party starts, you don’t have to worry about your lights if you have pre-set settings. One push of a button and your outdoor lighting design is all set. Of course smart lighting can be added to your home automation system which can all be controlled from a mobile device so that you don’t even have to leave the party. But more than helping you party into the wee hours of the night, outdoor lighting can be an important part of your home security system. Flood lights can be set on motion sensors or even coordinated to flash when the alarm system is activated. Having your lights synced with your security system adds one more deterrent for an intruder. Your lighting design outside of the house can do more than just light the path to the doorway. Having your landscape lighting programmed along with your other outside lights to dim here and there creates the perfect atmosphere for your outdoor event. And when you’re not enjoying your outdoor space, that lighting can be used as an essential element of your home security system. Outside lighting is now more than just lights in the dark. Now that it's officially springtime, professional baseball is in full swing. This means it's time to go support your Colorado Rockies. While watching the game live from Coors Field may be ideal, a Terracom home theater system certainly provides the best in-home viewing experience. Watching the game from the comfort of your home on a digital home theater system by Terracom delivers the best color, sound, lighting, seating and more. Our professional team of experienced home theater installers approach every home theater install with one goal in mind - Create the best audio/visual experience possible. 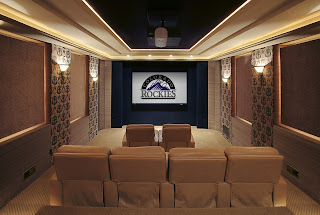 Terracom Systems loves Rockies baseball and we're proud to be a Colorado home theater system installation company. Whether you're a rabid Rockies fan or not, if you're interested in a custom home theater, we would love to talk with you. Not ready to install a home theater system, but still looking to improve your home entertainment experience? A professionally installed TV might be the right choice for you. Terracom also provides tv installation and wall mounting services. Plus we can still put our audio video distribution services to work in your home to ensure the best viewing experience.